At the end of the 17th century there was a great craze for tulips in Holland. 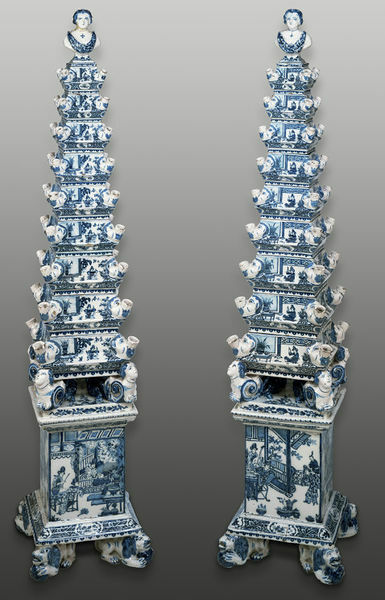 To cater for this, the ingenious potters at Delft, particularly the 'Greek A' factory, produced huge pyramids of stacking flower holders. 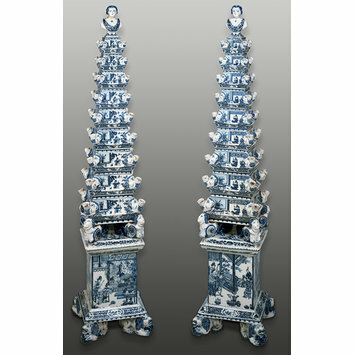 Normally produced in pairs, they were highly decorative additions to palaces and country houses, with or without their flowers. They were particularly popular in England in the circle of courtiers around King William III of Orange. From North Mymms Park, Hatfield, and probably made for the 1st Duke of Portland at the "Greek A" factory of Adrianus Koeks at Delft. 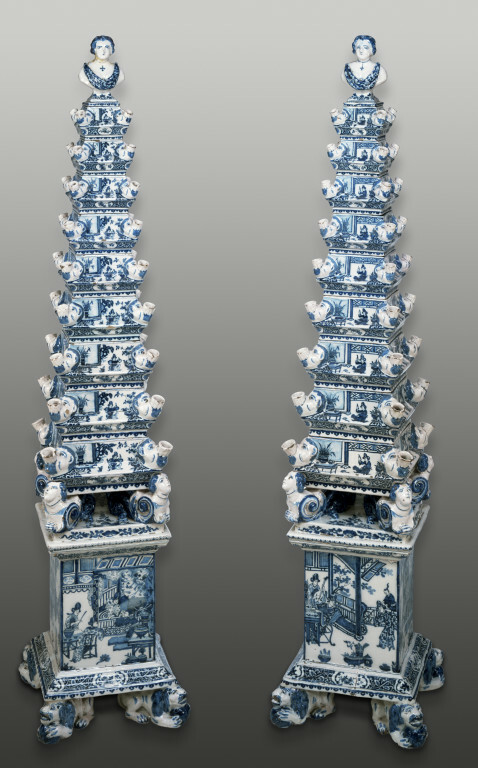 Tin-glazed earthenware flower pyramid, painted in cobalt-blue, Delft, about 1695. Liefkes, Reino and Hilary Young, eds. Masterpieces of World Ceramics.. London: V & A Publishing, 2008. pp.82-83, ill ISBN 9781 851 775279.